Unique Sunset Cruise aboard the historic steamship, the Virginia V. Cruise the waters of the South Puget Sound after an enjoyable day at Olympia Harbor Days. This is a great excursion for visiting family and friends. 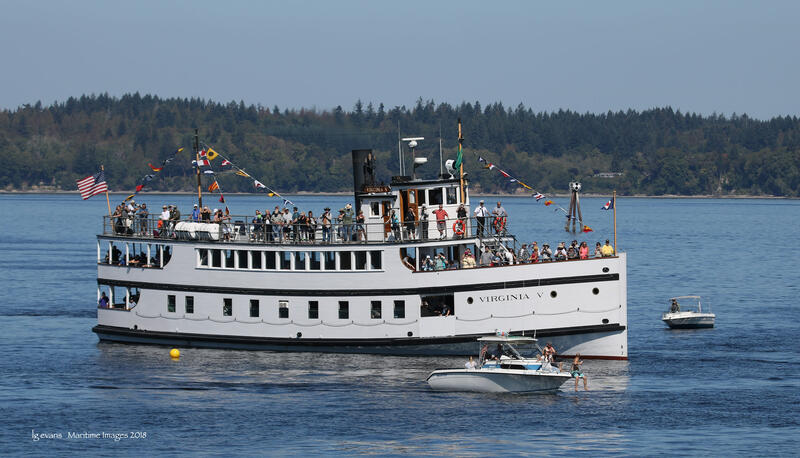 Cruise leaves Olympia at 3:30 pm and arrives in Tacoma approximately 7:30 pm. 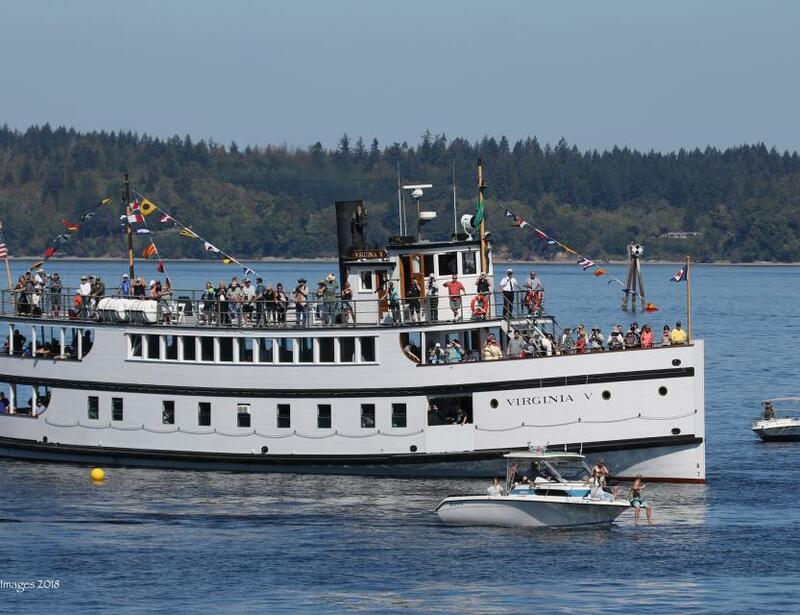 Cruising groups or individuals must make their own transportation arrangements back to Olympia. Contact Carol Riley for questions, details, ticket purchase and payment. Departure, arrival and race times are estimated and may vary based on weather, sea or traffic conditions.